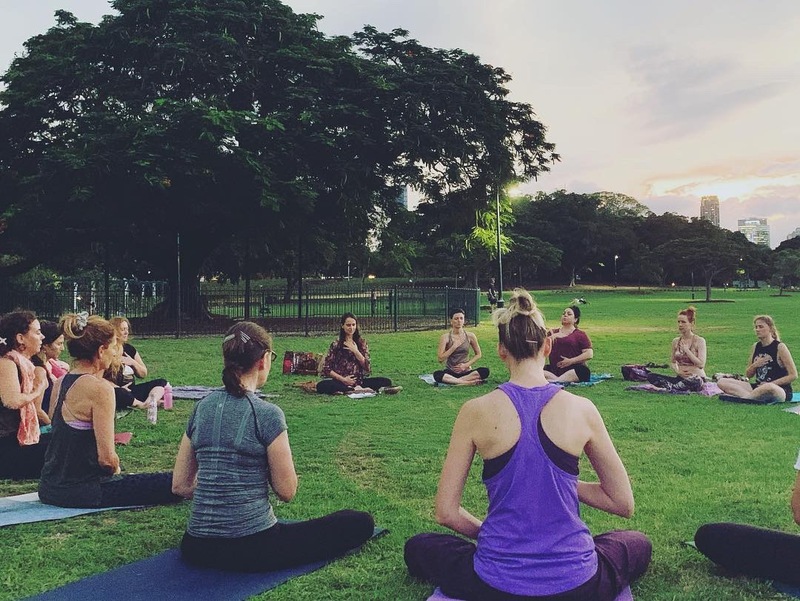 Shakti Yoga is a deeply grounding practice for women that brings us home into our bodies and into deeper intimacy with ourselves and with Life. 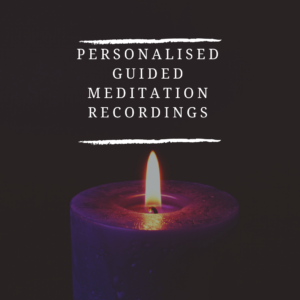 This is a deeply nurturing and healing practice to unravel tensions from the body, liberate the locked up energy of our emotions, and create space in the mind as we soften into the heart and womb. It is designed to awaken and cultivate a uniquely feminine flavour of strength, invoke inner power and harness vital creative energy ~ Shakti ~ to replenish, harmonise, energise and empower. These classes empower you to self-source energy from within you and harness your inner power. Gentle and gradual in its approach yet profound and effective for those willing and ready to dive deep as we peel pack layers and align with the vibratory force of Shakti as energy, power, wisdom and creativity. a gentle yet potent practice in which we will access Source (creative) energy from within our feminine energy centres and the earth. a sensual, embodied practice that is designed to FEEL GOOD! Equally – all feelings are welcomed rather than denied, expression is favoured over suppression! 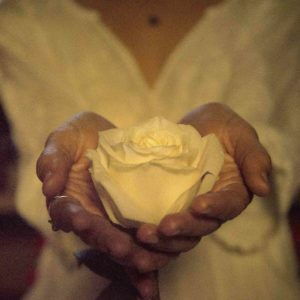 a Tantric (life-affirming) practice of embodied self-love designed to bring you more deeply in touch with yourself as a woman. 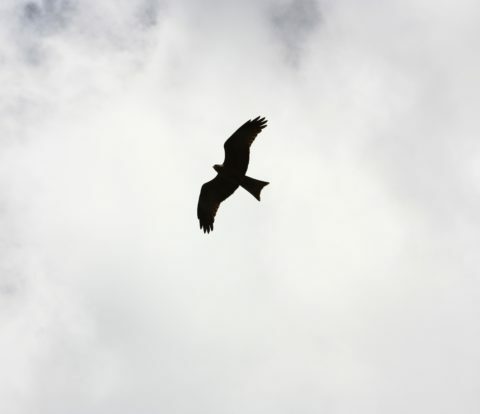 a practice that turns our attention toward the subtle undercurrent of delight that is always present and available. 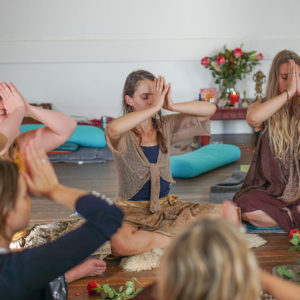 a transformative + powerful cultivation of Shakti – creative energy – that arises out of mystical Yogini practice and that also acknowledges our cyclic and emotional nature as embodied women. Your divinity and humanity are equally welcomed and celebrated! a practice that activates your innate feminine radiance that will shine forth from within. best practiced regularly to receive the full benefit! It is certainly not a quick fix and yet enormous benefit can be received from just one session, particularly when practiced with devoted attention and loving reverence. This is a deeply nurturing sanctuary space for you to drop deeply into yourself and unwind at the end of the week. Book in for a sanctuary session here. If you would like to host Jasmine for a Shakti yoga workshop in your studio or town – please be in touch! 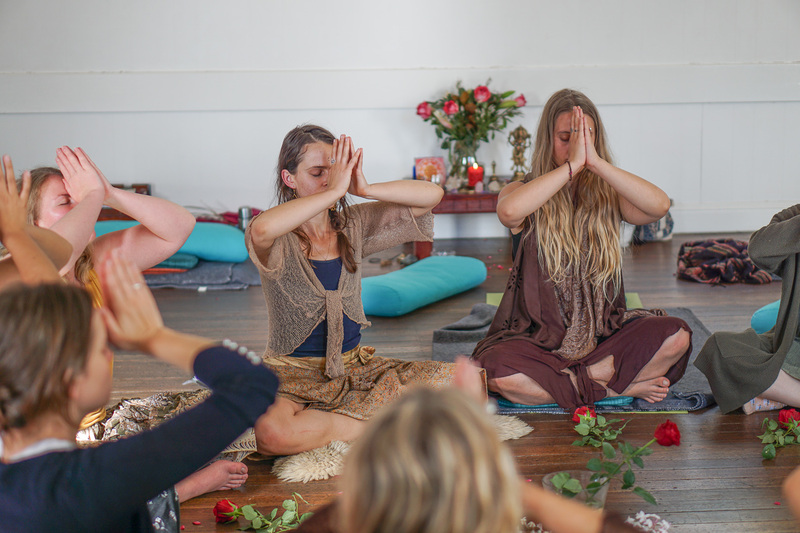 What do we do in the Shakti practice? You will be invited to express authentic and organic movement through your body, in addition to classical yoga postures and mudras, to clear, align and open the nadis (energy channels). The circulation of this vital energy assists with health, healing, creativity and spiritual connection. We use our bodies, sound and breath to tap into this deep well of Shakti within, moving energy using the yogic art of attention. There will be a generous serve of restorative poses in each session that will allow you integrate the movement practice and experience the medicine of softness through stillness, deeper receptivity and complete surrender into relaxation. 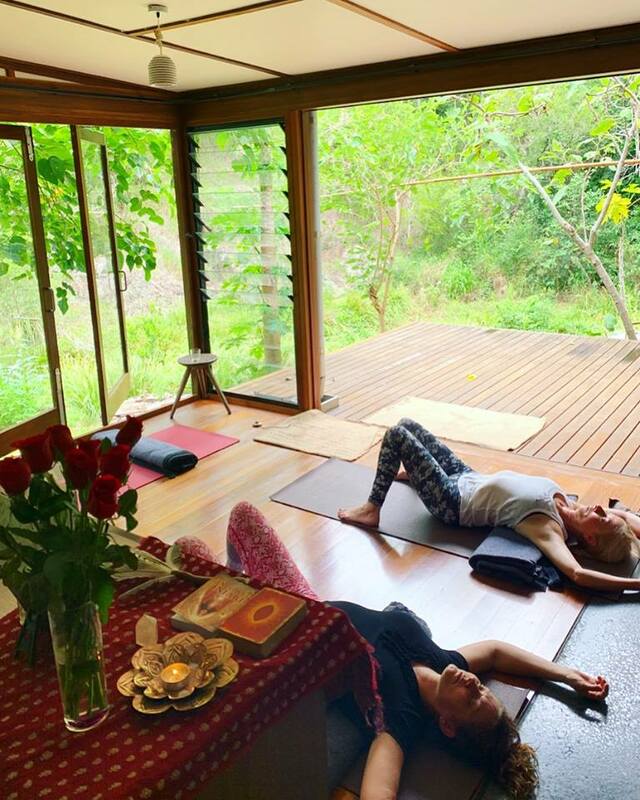 This is truly where the magic of our Shakti yoga practice lies, allowing us to drop beneath ‘ordinary’ consciousness, access the deeper wisdom within and restore the balance in our bodies and energy system. The yoga space is created very intentionally to evoke delight and awaken the heart. This is a ritual practice in a ritual space and includes a special altar dedicated to SHREE – auspiciousness – there are ALWAYS flowers and carefully selected pure essential oils offered. Beauty and awakening the senses are important parts of Shakti Yoga! This atmosphere supports us more deeply than we realise and reminds us of the beauty within. “I love attending Jasmine’s Shakti Yoga classes for so many reasons. 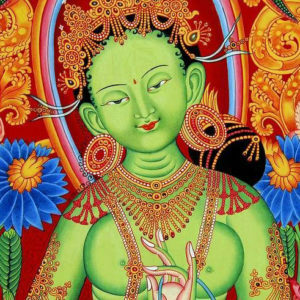 When you arrive in the space you’ll be greeted by the fullness of feminine essence. Luscious is the first word that comes to mind. The land is ripe, full and dripping with juicy deliciousness. Right now, the trees are bursting with low hanging fruit…papayas and mulberries that are begging to be picked. Jasmine takes so much care with her offerings, making sure to delight all our senses. She nourishes the feminine soul with so much attention to beauty. The flowers and scents she provides allow me to soften into my own essence: bringing me home to myself. All of me is invited into the space with practices designed to nourish and celebrate woman. I love going to Jasmine’s retreats and yoga classes. 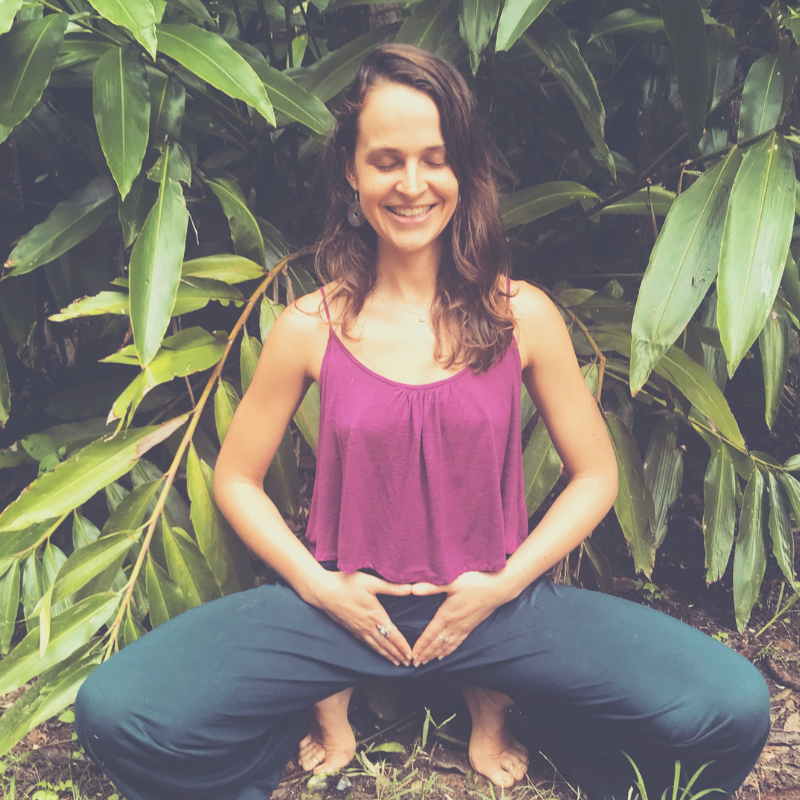 She takes yoga to a whole new level and allows you to be free and connect to your own rhythm and the rhythm of the earth, in a healing and nurturing environment. She often adds a bit of mantra to the mix and always makes sure there are plenty of essential oils floating around. And not to forget the super delicious chai that she serves afterwards. A feast for all the senses! Highly recommend! Shakti Yoga is a wonderful unique process that nourishes the Body, Senses & Soul. 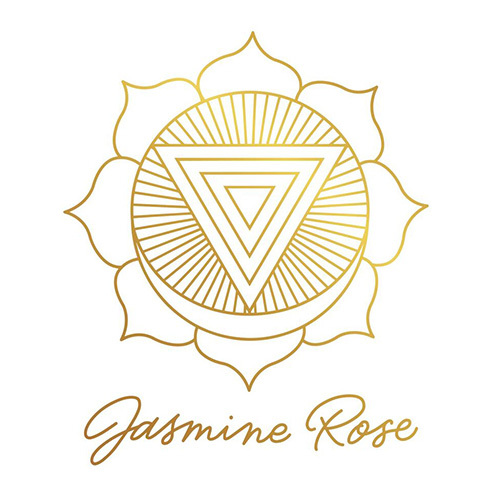 Jasmine is like a midwife for the “Goddess”, birthing us into that sacred energy that resides within all of us. I always feel deeply nourished and invigorated after the delicious 2 hours finishing with Chai enjoying the beautiful surrounds. I will be back for more! I’ve tried lots of yoga styles and shakti yoga is by far my fav. I found myself losing focus due mind wandering off with other styles. Shakti yoga is so freeing and engaging. It’s a morning of bliss! I attended one of Jasmine’s Shakti Yoga events in Jan ‘19. I found her incredibly welcoming with a calming energy. I appreciated her wealth of knowledge and her ‘full permission’ space she holds. 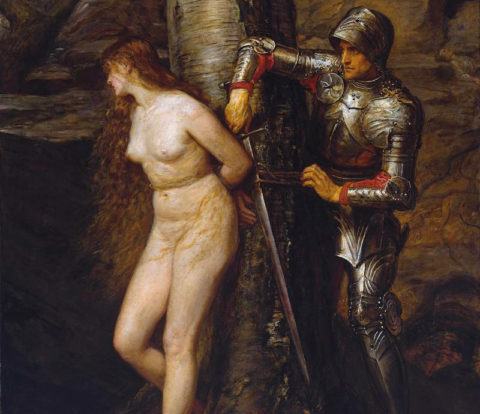 I felt comfortable and safe to express myself. I would say it was the most enjoyable yoga events I have attended. Highly recommended.